Commemorating all of the Australians and New Zealanders who served and died in all wars, conflicts, and peacekeeping operations for the 100th anniversary of ANZAC Day; Celebrity Cruises have announced plans for a dedicated cruise taking in significant sights and hosting expert speakers. Setting sail on 22 April 2015, the cruise is a unique opportunity to discover more about the past 100 years of Australian and New Zealand military service and pay tribute to those who so bravely gave their lives for peace. The itinerary includes return flights from Rome, where the cruise sets sail after two nights’ stay in the Eternal City. Sail along the Gallipoli Peninsula that Australian and New Zealand troops were sent to capture 100 years ago to ensure safe passage for the naval forces of the Allied Army and ultimately capture the city of Constantinople (now Istanbul). The 25th April 1916 was officially declared ANZAC day, making next year’s commemoration the 100th annual celebration. The 100 Year Anniversary ANZAC Cruise plays host to a number of key speakers and experts guiding passengers through the significant sites and detailing the unfolding of history. Peter Donavon, a professional historian and World War 1 and 2 author, will give bespoke presentations on the anniversary day. Additionally, the traditional Dawn Service will be televised by on board the ship. The cruise will explore the ANZAC Cove, a central feature of the Gallipoli Campaign and the landing point for ANZAC troops. 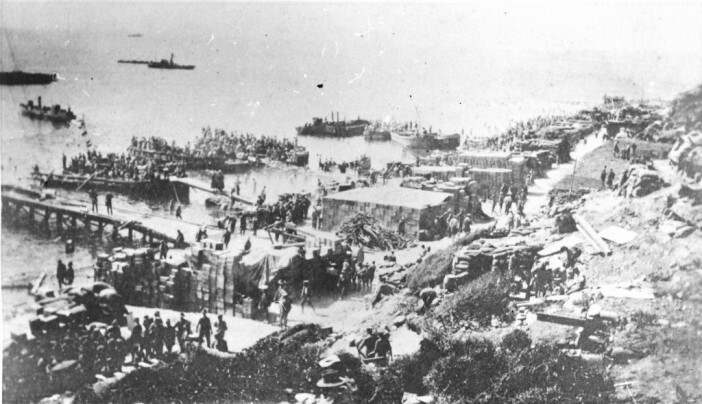 The cove became a rare respite for the troops who would swim in the waters, even when under light fire of the enemy. The itinerary includes a number of shore excursions to historical cities including the target of the Gallipoli Campaign: Istanbul. The beautifully unique city is the ideal location to spend a Spring day, wandering through the streets and the Bazaars. The historic city has a vivid and vibrant culture shaped by the litanies of different civilisations that have landed there over the years. After leaving Istanbul, the cruise takes in the Greek capital of Athens and the stunning island of Santorini – often described as one of the most beautiful in the world. Rising out of the sea in a crescent shaped thanks to 3,500 year-old volcano activity; Santorini enjoys unique geography and geology. Passengers will also be able to visit the lost city of Pompeii during the later excursion to Naples. The city was lost to the world 1,700 years ago following an eruption of Mount Vesuvius. The cruise will be about the Celebrity Constellation, the 2,170 capacity luxury liner complete with elegant dining options and spa-inspired AquaClass accommodation suites.